How to Delete or Clear Android Keyboard History? In this Article, I’m going to clear Android keyboard history or clear Android keyboard cache. What is keyboard history? And why should we clear it? Keyboard history is the searched words by your device keyboard for getting information. When you send messages, searching something using your phone keyboard, all the words that you have searched or typed, will store in your device. When you type that word again, the keyboard automatically suggests those words for you. You can use that word for speeding up your typography. It is one of the best functionality that latest smartphones have. But sometimes it causes a problem. 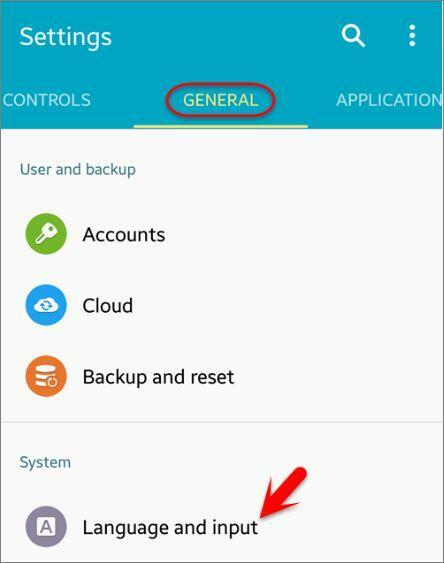 How to Delete Keyboard History on Android? Maybe you search something penetralia words that don’t want to see others. For example, you have searched your emails, some passwords or anything and you don’t want them saw by someone. When I get your device, I may connect to the internet and I want to search any website, email on that time the keyboard by default suggest the emails, passwords. And I can estimate from the suggest words that what can be your emails and passwords. That’s why you may need to clear that history from your device keyboard for the reason someone else should not see those things. It is not very difficult that you can’t do it. It is as simple as drinking water. In order to clear Android keyboard history or Android keyboard delete key, you may follow step by step guide to know how to clear Android keyboard history on any versions. Step #1. Go to any Android device settings. You can find settings in the drawer of your apps. Right after clicking on settings, now find Language and Input then click on it. From this tab, you can do lots of tasks. Anyway, that’s not related to our today’s article, go ahead. Step #2. 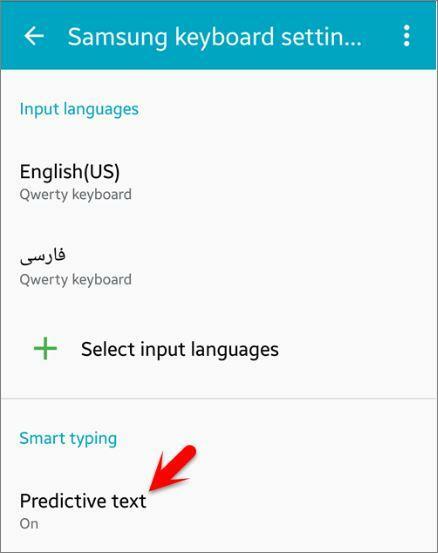 Now select Samsung Keyboard and this is the default keyboard of my device your device may be something else so that is not the matter just click on Samsung keyboard. Step #3. When you clicked on Samsung Keyboard a new window will pop up. Select “Predictive text“. Step #4. Now scroll down until you see these two options “Clear server data“, “Clear Personal data“. 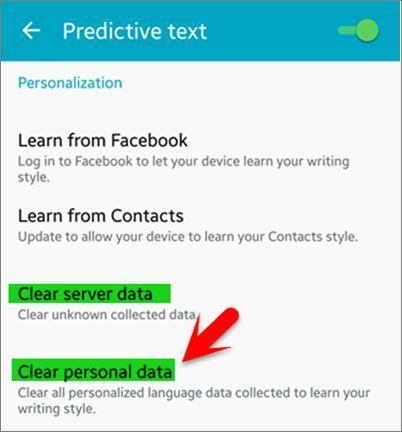 The first option let you clear unknown collected data and the second one let you clear all personalized language data collected to learn your writing style. If you want to clear click on these two options. Step #5. 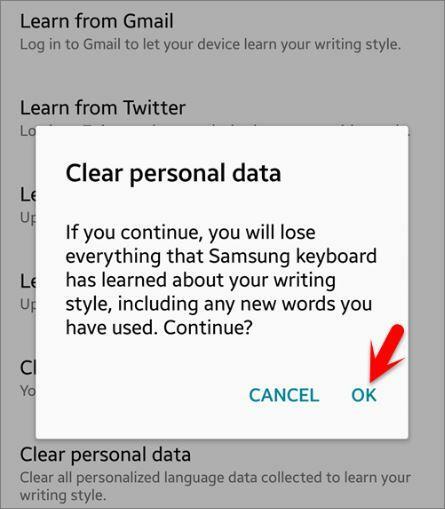 If you want to continue clearing personal data, you will lose everything that Samsung Keyboard has learned about writing style, including any new words you have saved. Right after clicking on “OK” button, all the cached words will be removed or erased. The cache is an area of your Samsung Galaxy S4, S5 smartphone that houses temporary applications or Internet files. By storing commonly accessed information in the cache, your phone can respond to requests faster. If for example, you have accessed a website for the first time, it will take a bit longer as compared to the second or the succeeding times you visit that site, because the website was not “cached” on your first access. After your first access of the site, your phone stores some of the relevant files of that site in the cache. So instead of downloading that file from the website again, your phone will just access its cache the next time, saving you time and bandwidth. This is how you can delete keyboard history on Android. If you’ve got a question on how to remove Android keyboard history, feel free to ask the question down below this post. Thanks for being with us. Hi. How can I Clear Android Keyboard History on Galaxy S8? Once See this path if you could clear but I’m not sure. Because we don’t have Galaxy S8 to test it. Hello guys… my samsung s5 doesn’t want to display text prediction on samsung keyboard..but it happen after I format the phone. In the input settings it doesn’t want to display the customize icon…what should I do? Did you enable Predictive Text from its setting? 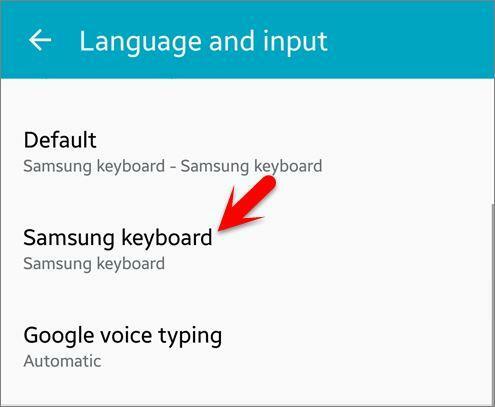 If you have not enabled it so go to Settings> Input and Language> Samsung Keyboard> Predictive Text. On my xiomi Redmond note 4; I have switched to Gboard and disengaged use of predictive text. I wish to go back to predictive text writing. Once you clear it is there anything that could make your old suggest words come back? I know this is an older article, but i hope i can get help. Hi guys please help i am using samsung tab3 and it always shows keypad results of calls i made i want to erase them but i cannot please help. Is your phone have the option or it does not have? When I try to clear the personalized data it keeps giving me an error, even after restarting the phone I still get the error and cannot clear the data. This is bothersome because for some reason my Note 4 has forgotten all my learned words and despite despite turning predictive text off and on and having learn from messages etc. it will not retain any new words. Can you send me the screenshot error? Error occurred while trying to clear your personal language data. Try again later. You sent me an email about creating a windows USB for a mac? That has nothing to do with my question? Clearing keyboard history on Android. In step 4 of that article you say to go to predictive text then clear server data. I used to be able to do this but now that choice is grayed out and it says “servers are currently busy try later” It has been this way for several days. Is there any way to get this choice to be active again. This is on a Samsung galaxy tablet. Sorry, we can’t help you in that cause. You can factory reset your device also if it’s too important to you. No idea for my question from 8/4/2016? What if the clear server data choice is grayed out and says the servers are currently busy try later. I used to clear server data every so often but this message has been there for several days now and I can not clear. I have restarted and reset settings and still grayed out? Are you talking about your website or mobile? In step 4 you show 2 choices to highlight and clear. I can clear the personal data ok. But the clear server data choice is grayed out and will not let me choose it. The message under it says “servers are currently busy try later”. I used to be able to clear this but can not now. This is on a Samsung galaxy tablet. What l would like to know is if l can delete all my email history at once. My knowledge of my Samsung 4 is pretty limited. We will get this back to you. Maybe sometimes you would like to delete all your Mobile history. Yes you are right but sometimes, it is needed to be cleared, as I told in this article. Most of the time that’s very good. Thanks for guide, but I don’t want to clear these keys. They really help me type my messages quickly.